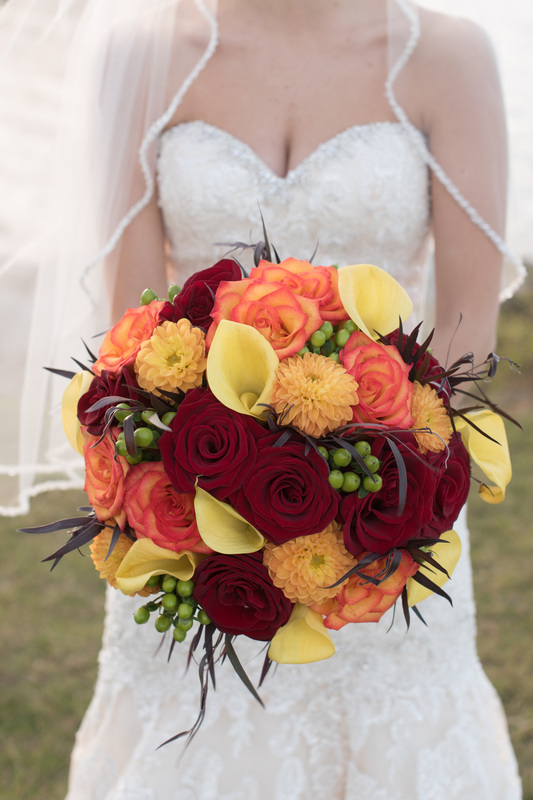 Rust Hydrangeas, circus roses, black magic roses, yellow calla lilies, orange dahlias, green berries and agonis – – Have you ever seen such an amazing bouquet? 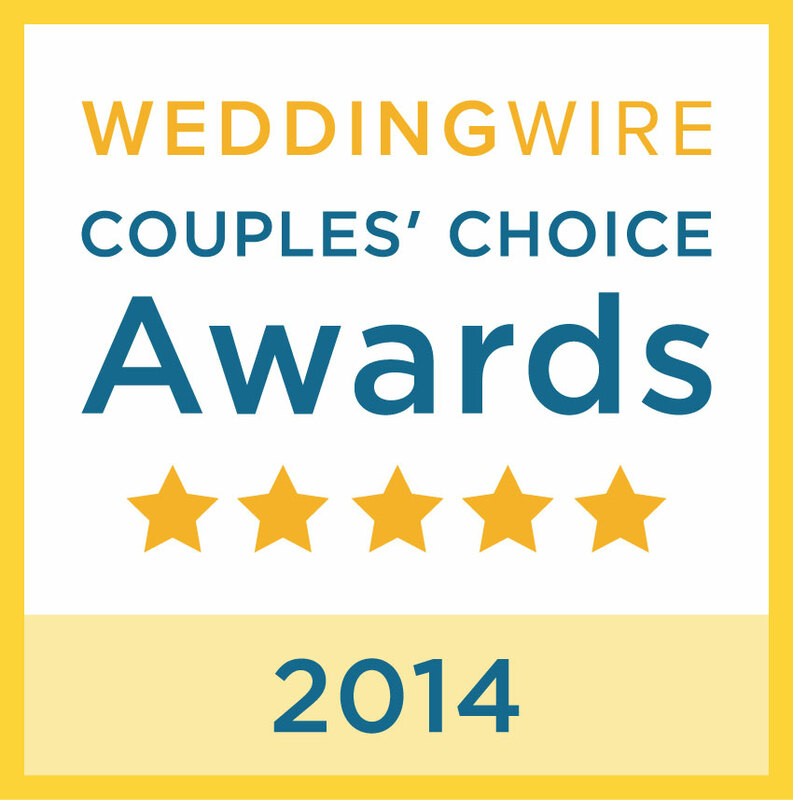 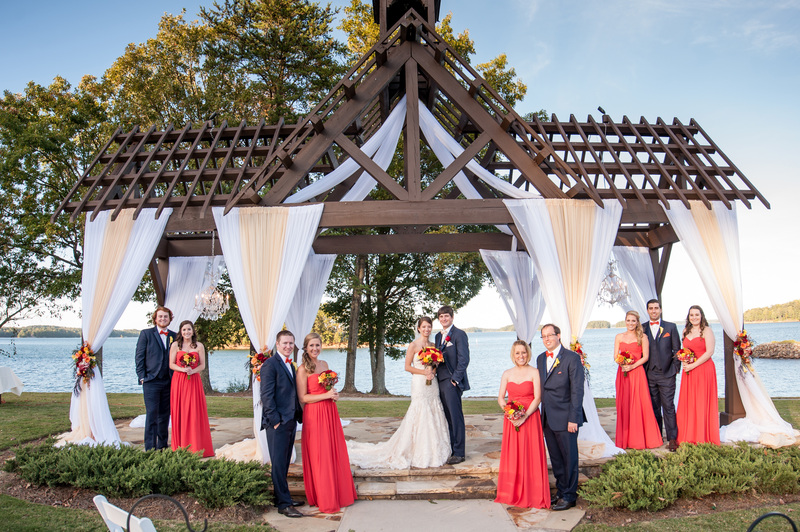 Stacey and Scott were married on Pineisle Point at gorgeous Lake Lanier Islands. 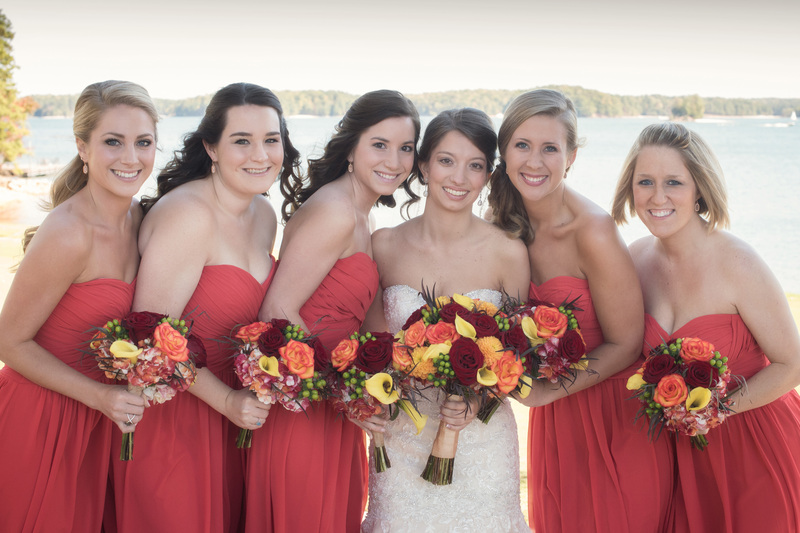 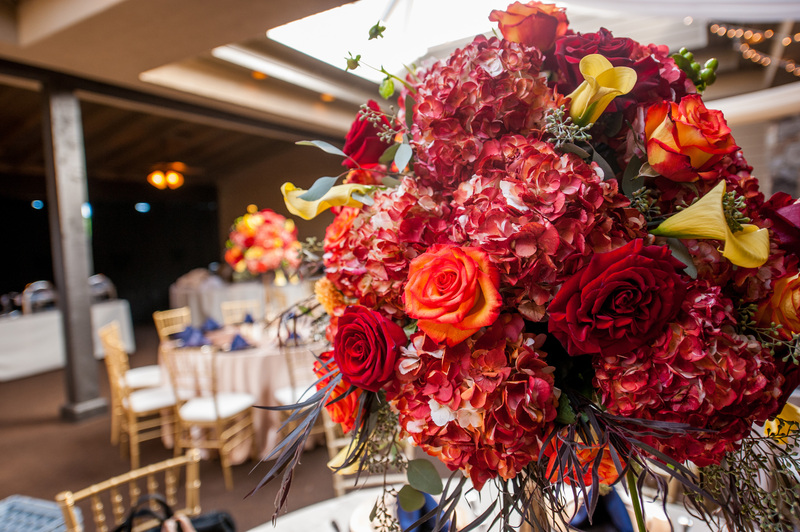 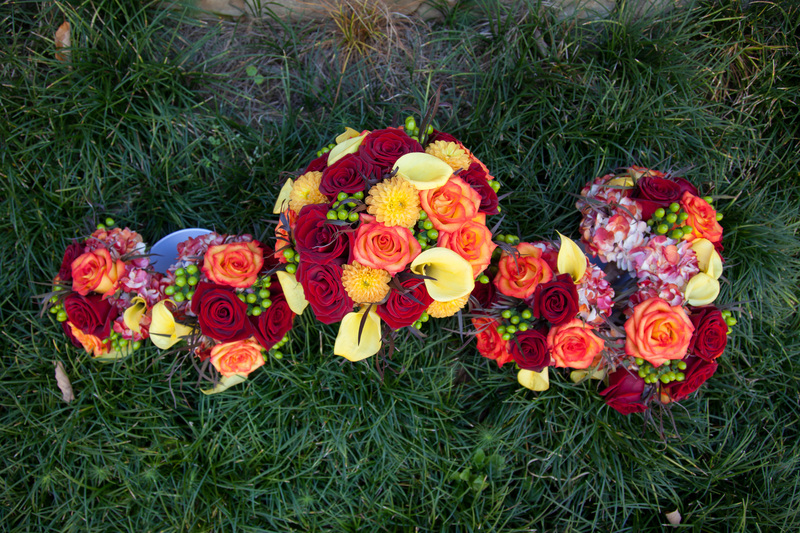 A perfect fall wedding with all the incredible Autumn colors. 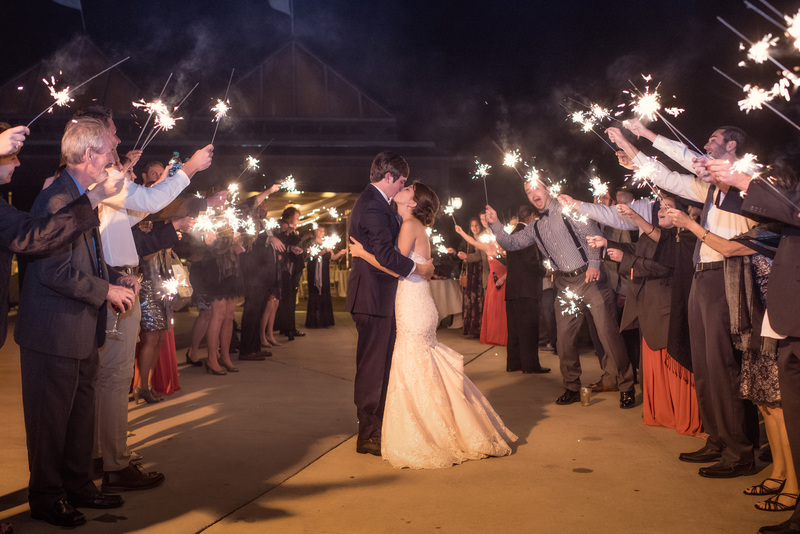 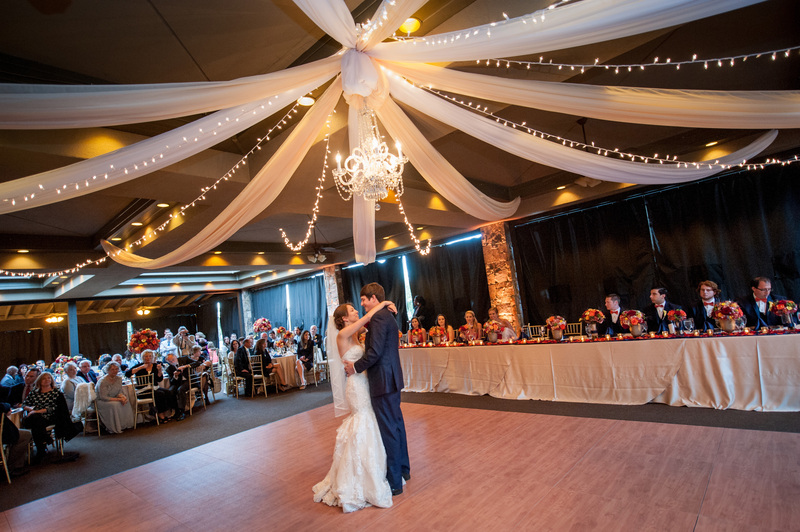 A gorgeous Bride + her handsome Prince – we love making these dream days come true. 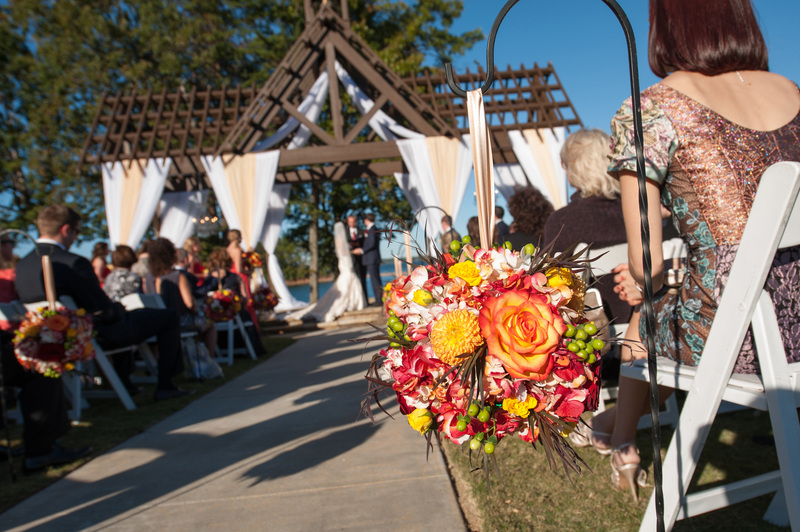 Shepherd hooks with matching pomanders lined the ceremony aisles. 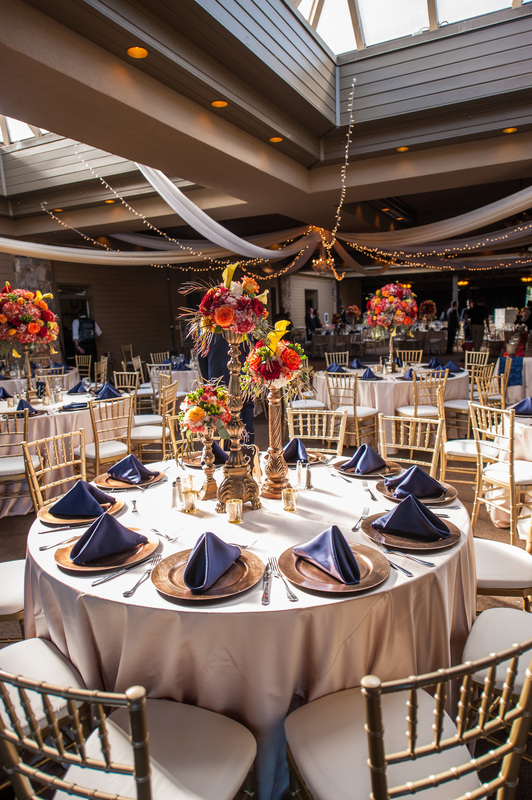 Gold and beautifully rustic elegant details filled the reception. 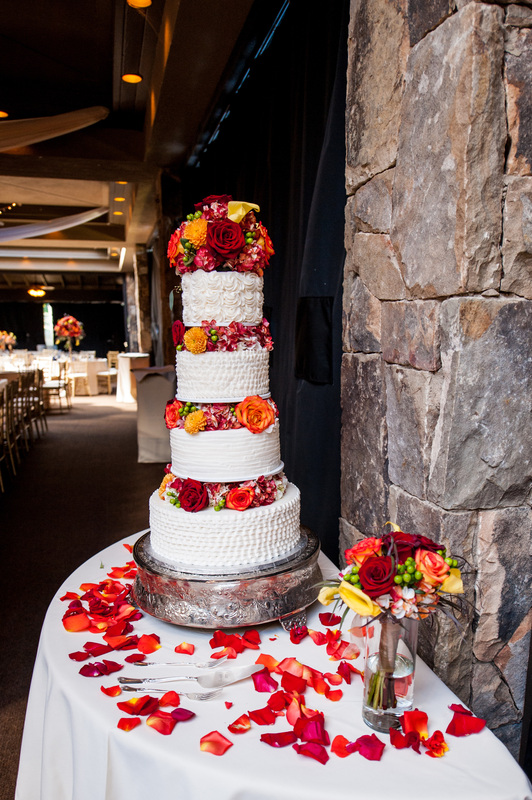 Design House loves designing tall centerpieces, tending to all the details, including drapery… lighting…right down to the last rose petal on the cake table. 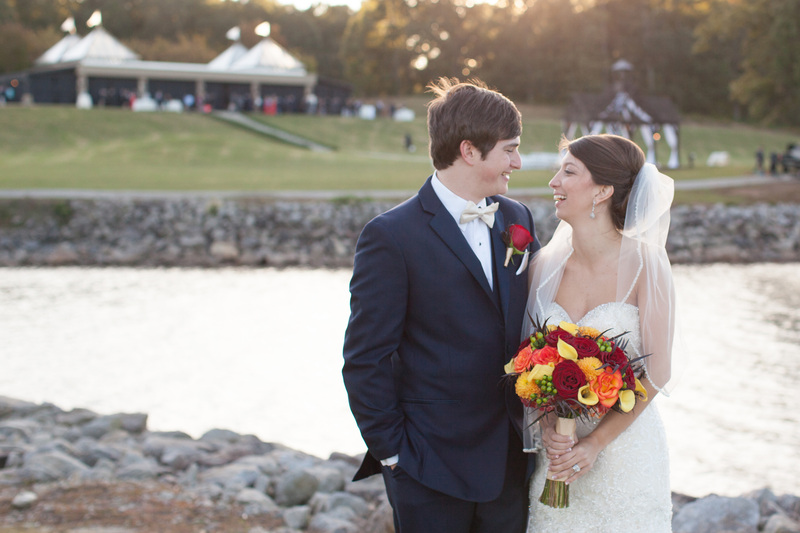 Enjoy these breathtaking photos by Carmen McCarty, with Atlanta Photo Studio.